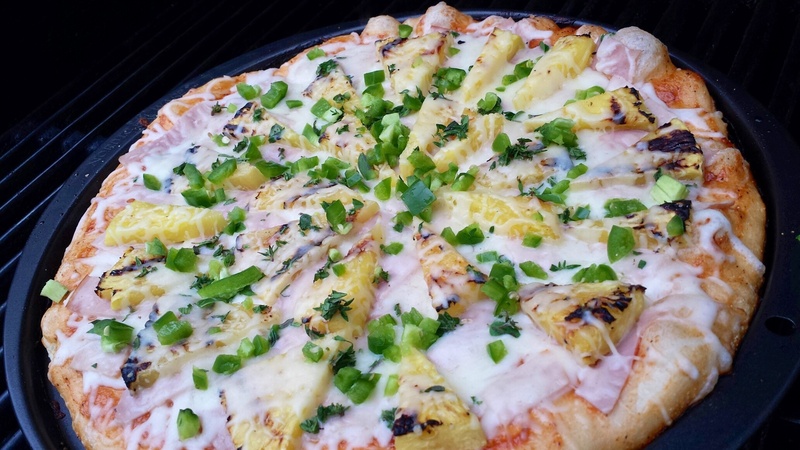 Have you tried PIZZA ON THE BBQ GRILL! 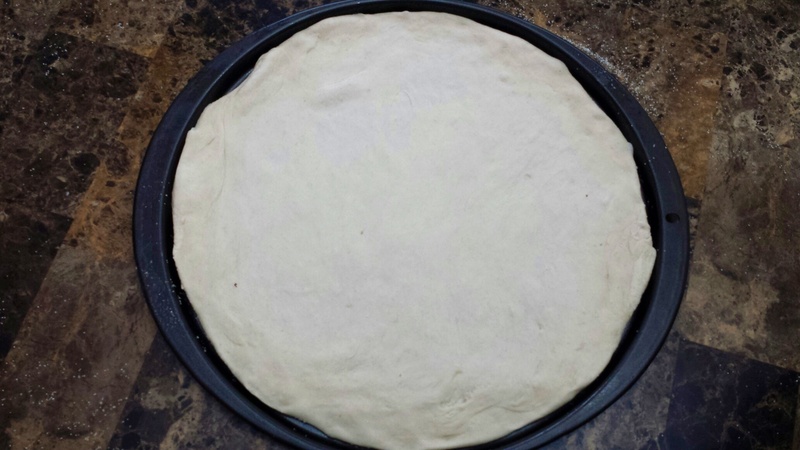 It’s the best homemade pizza you’ll ever make. 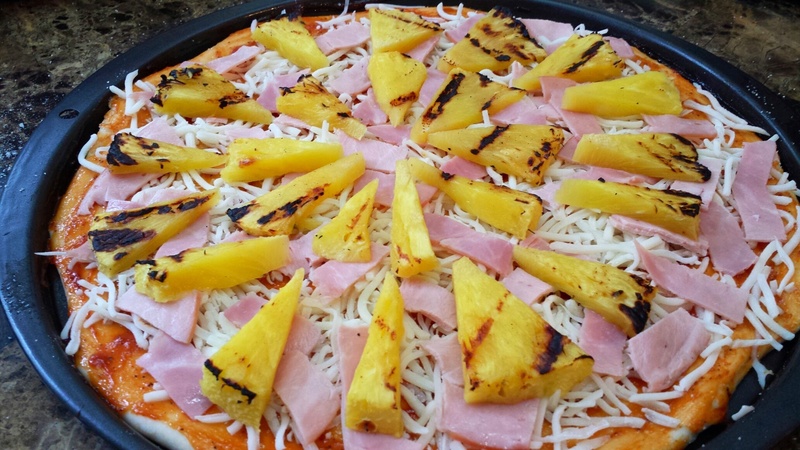 Yesterday we made HAWAIIAN PIZZA…. 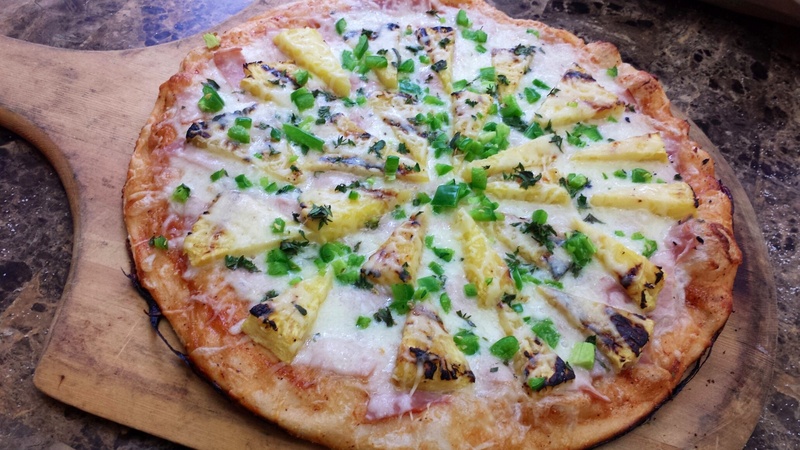 My daughter’s fav kind of pizza, and especially suited for the grill! 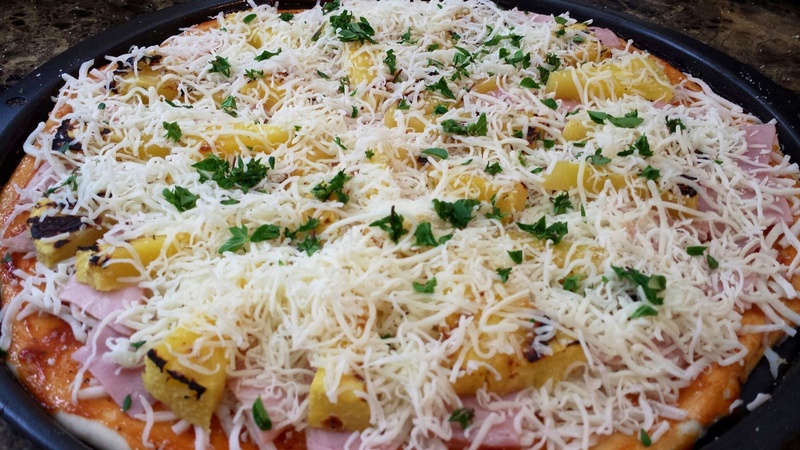 Layers of grilled pineapple, salty ham and melting cheese all brought together by my tangy BBQ sauce! 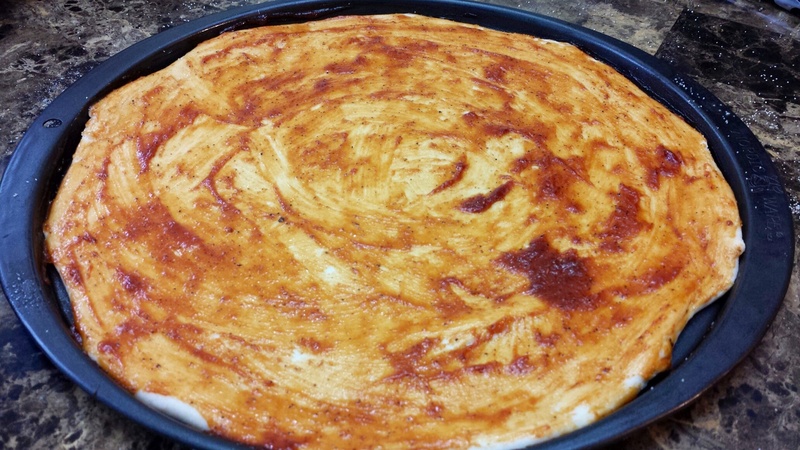 Spread pizza dough on a BBQ friendly pan. Spread a layer of BBQ Sauce. Follow with a layer of shredded mozzarella cheese. 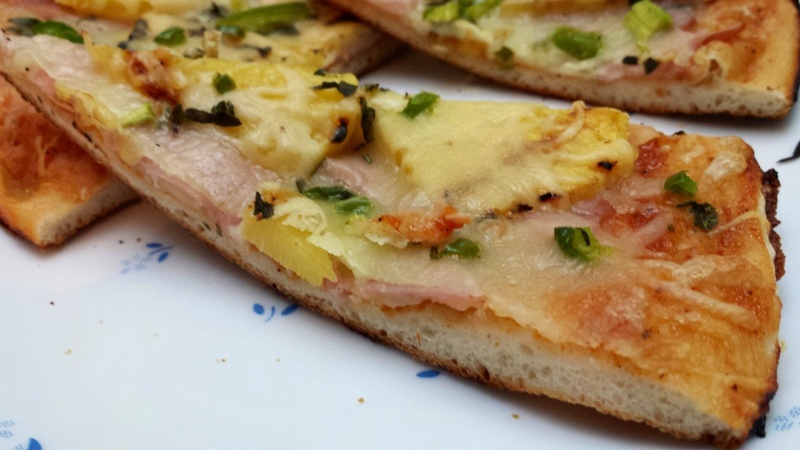 Top with strips of ham and pieces of grilled pineapple. Sprinkle lightly with some grated cheddar cheese. Finish with a light sprinkle of oregano & thyme. 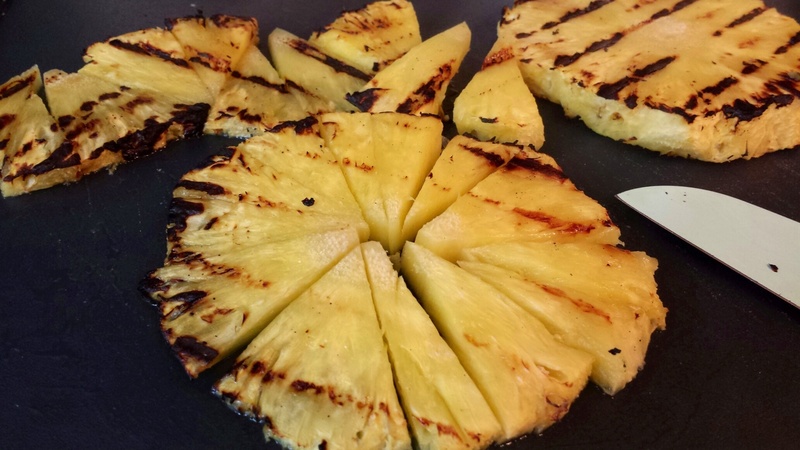 Grill on medium hot grill for 7-8 minutes..ready!